Svendsen’s thougtful and well written book analyzes the nature of fear and how it has saturated every layer of our life-world. He argues, “a paradoxical trait of the culture of fear is that it emerges at a time when by all accounts, we are living more securely than ever before in human history”. Svendsen shows how fear “undermines our freedom”. He writes, “Fear is not simply something we are exposed to against our will, it is often also something we voluntarily expose ourselves to in an attempt to transcend a banal, boring everyday existence”. The thesis that boredom and fear “build up under each other” reveals the hidden issues that Svendsen does not consider. If fear is a result of boredom and boredom arises from security, then the fear that permeates our culture is not a genuine fear. Such a fear is manufactured. Svendsen divides his book into seven chapters. Chapter One gives an account of the culture of dear and how fear “has become a kind of culturally determined magnifying glass through which we consider the world”. As an example, Svendsen gives an account of heightened security precautions in airports. From the example Svendsen concludes that “fear is shaping our space of action”. Svendsen is convinced that “the problem is that we seem to see everything from a perspective of fear”. The obvious question is for whom does such a perspective hold? Does it apply to the business traveler, the tourist, the Norwegian citizen, a homeless person, a philosophy professor, gangster of police officer? Fear may be contagious but not everyone is affected or becomes infected by the spin created by the media. 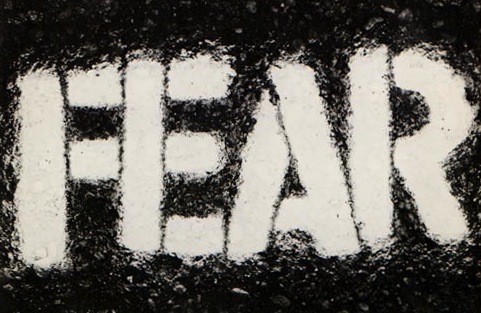 Svendsen observes, “Fear is undoubtedly an important sales tool for the mass media”. It is obvious then, that many are buying the sales pitch as they attempt to protect themselves from the coming apocalypse that is announced each year, but never manages to arrive. Chapter Two attempts to define fear. Svendsen outlines how genuine fear has helped human beings to survive and procreate. He acknowledges that too much fear can be dysfunctional. The conclusion to draw is that culture functions by making its participants dysfunctional by providing them with the illusion of luxury. Fear increases when the luxury we think we have is attacked by “outside” forces. Fear then becomes “a culturally conditioned habit”. Fear causes us to “loose our heads”. This shows us that fear is favored over genuine thinking. The person that thinks things through has little to fear. The philosophy of fear rests on the fear of philosophy. Chapter Three investigates the relationship between risk and fear. Svendsen examines Giddens’ risk culture along with Beck’s “risk society”. The points seem to be that uncertainty generates fear. However, postmodern-existential thinkers like Kierkegaard, Nietzsche and Derrida emphasize that uncertainty must be embraced so that fear lessens its hold. Svendsen clearly shows how our conceptions of risk are “systematically distorted”. He writes, “The SARS virus scared the world in 2003, but the global death count for SARS is estimated to be 774, a figure that has to be considered quite modest. It has been calculated that the SARS panic cost more than US $37 billion globally and for such a sum one could probably have eradicated tuberculosis, which cost several million people’s lives every year”. While it is true that the media maximized the crisis, Svendsen’s calculations appear to be faulty. For those families who lost their loved ones to SARS, the amount of money “lost” by the SARS panic is irrelevant. How does one weigh calculated human loss with monetary loss? Can they be on the same scale? Chapter Four explores why fear is attractive. Svendsen writes, “Fear lends color to the world”. The fear Svendsen has in mind is fictitious. 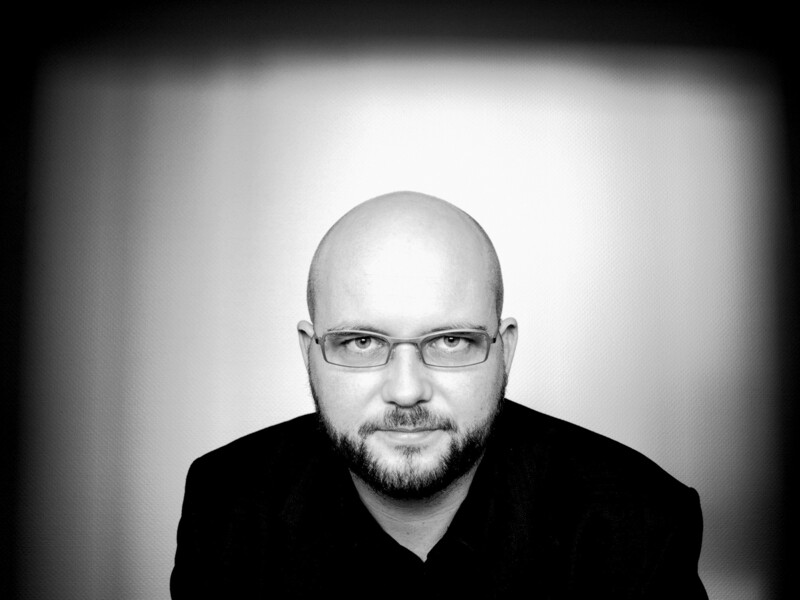 Svendsen writes, “There is without a doubt something delightful about being terrified almost out of one’s wits by a novel, film or computer game”. There is a huge difference between being scared by H.R. Giger’s alien monsters and being afraid for your life while a machine gun is aimed at your chest. If found myself facing fear in the later example when I crossed the Yugoslav border in 1989. Those who seek “fear” through fiction know nothing of real fear. Chapter Five analyzes the relationship between fear and trust. Fear according to Svendsen can undermine trust. Svendsen claims, “without trust you could not be able to do anything at all”. The question is why do we place our trust in some Big Other when we know that this Big Other does not exist? Professions, organizations and social institutions have all betrayed our trust, yet we willingly give our minds and freedom over without a second thought. The fact that our society has become panoptic and under surveillance, shows most clearly that trust does not exist. Svendsen recognizes this point when he writes, “a person who has to be subjected to control is precisely a person with whom one cannot have a relationship of trust”. The fact that there are 4.2 million CCTV’s in the UK illustrates this point very nicely. Culture is not grounded on trust but on “systematic paranoia”. Chapter Six explores the politics of fear. Here Svendsen examines the theories of Vico, Machiavelli and Hobbes. These philosophers hold that fear is “a resource for the community”. This point is played out in the film The Village ((2004) by M. Night Shyamalan. The point of the film is “something terrifying ‘out there’ keeps society together as a unit”. Fear is a tool of control. This makes our culture Machiavellian while it pretends to be liberal and democratic. Svendsen writes, “We must be able to demand that the war on terror respects the values and institutions it claims to be protecting”. This is a noble demand. How can the war on terror respect its so-called democratic institutions when these institutions were always already built on the spoils of war, exploitation of other peoples and colonialism? As Slavoj Zizek points out, the so-called war on terror is really a war against the citizens of the United States. The last chapter asks if we can move beyond fear. Svendsen wants to replace fear with hope. Here he follows the Marxist philosopher of hope, Ernst Bloch who argues, “the crucial thing is to learn hope”. I disagree. Hope without action is useless. Svendsen’s answer to “fear” is “humanistic optimism”. 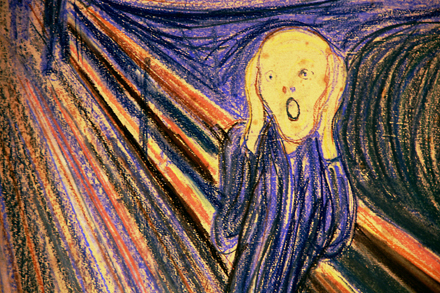 I fear that such optimism finds its full expression in Edward Munch’s Scream.